I saw this wood on a person's front lawn on October 11, 2011. I will update this listing if I see that it's gone at some point. It looks very large and heavy! I don't know what type of wood it is. 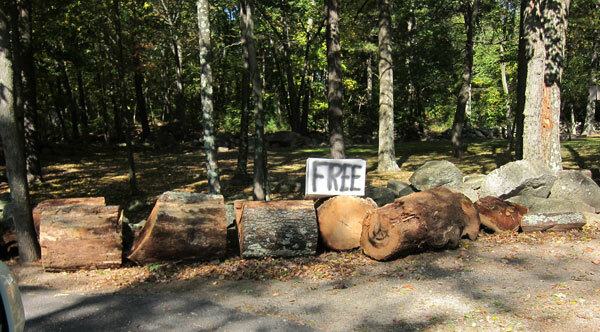 There is no phone number or other information listed near the wood, just that it is free. UPDATE: The wood is now gone! Good luck to whoever took it, that stuff was heavy!